Thank you for taking the time to look at our family profile. It is our sincere hope that you will get a glimpse into our hearts, our home, and our life together. While we cannot begin to completely understand what you are experiencing with this decision you are making, we want to extend a sincere thank you for choosing life and adoption. Your decision is courageous and an example of a selfless love. We can only imagine how difficult this journey is and has been in selecting a family to love and raise your child. We pray that God’s love will give you strength and peace along each step of the way. God has directed us towards adoption to grow our family and we cannot be more excited about His plans and timing. We pray daily about the child that God has in store for us and we are anxious to meet him or her. Adoption will be celebrated in our home, as we know without your choice of adoption; we may never have had the opportunity to grow our family. We know that this journey is a delicate one that takes compassion and patience from all those involved, and we hope that you feel peace and comfort through every step. If selected to love, comfort, and raise your child, please know that we will continue to pray for you. It would be an honor to be chosen and given the opportunity to become parents. Our story begins in college where we met through mutual friends. We became best friends before officially calling each other boyfriend and girlfriend. 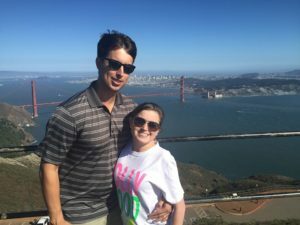 We dated throughout college and while Lacy was pursuing her Occupational Therapy degree. We dated for 5 years before Robert proposed, and we were married in 2012. We were married in the same church Lacy grew up in and that we now attend as a married couple. Although it only seems like yesterday when we were married, we have grown closer and have enjoyed every second of our life together. We attend church together and strive to become stronger in our faith, with God as the center of our relationship. Our common interests include being outdoors fishing in our backyard of our home, traveling, attending church together, and hanging out on the back porch. We also like grilling out and hosting friends and family. This past year we hosted several holiday celebrations at our home and really enjoyed having all of our family over. We enjoy going out to eat together and trying new restaurants. We love a good date night and we also like having a movie date. We both are hard working and strive to be better Christians daily. Lacy’s individual interests include trying new recipes, relaxing outdoors, fellowshipping with friends and learning a little more each day on how to be a better wife, daughter, coworker, and occupational therapist. Robert’s individual interests include learning new things about his job, tinkering around the house fishing, attending church, and playing golf. 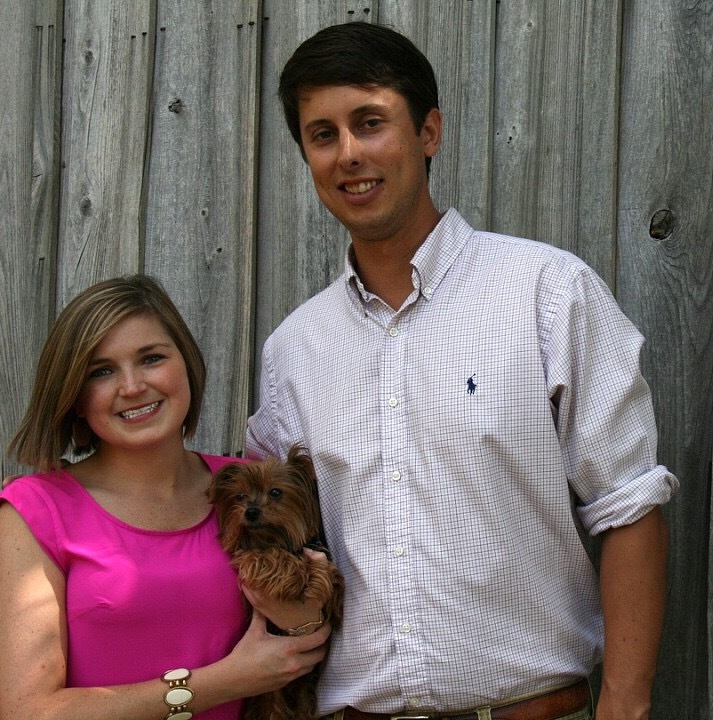 Lacy admires Robert for his hard work, dedication to his family, and his walk with the Lord. He shows love well and promotes a positive environment. He has many friends and he cherishes his friendship with each of his friends. Lacy admires his loyalty, honesty, and drive to succeed in anything he puts his mind to. He is a great husband and my best friend and Lacy knows he will be an excellent father. 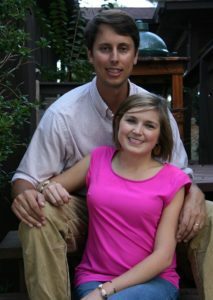 Robert admires Lacy for her kindness, tremendous heart, work ethic and ability to love. She always exemplifies her kindness throughout her life as a Christian. Another quality that Robert loves about Lacy is her spontaneous nature towards adventure. Lacy is always up for going on a trip, trying a new restaurant or even tanking on a new project such as raising chickens or planting a garden. Lacy is truly one of a kind and has been inspirational to not only me, but everyone who knows her. Our home is located on a quiet piece of land on a private lake. We live in a two bedroom, two bathroom cabin with a large upstairs loft that overlooks the living room. There is a wraparound porch that we have enjoyed spending lots of time lounging on and enjoying God’s beautiful creation. One of the reasons we love our home is the ability to fellowship outside in our big back yard and fish often. We also enjoy grilling out and hosting family get-togethers as often as we can. We both come from large families and when our home is full, so are our hearts. We have a bedroom that we cannot wait to make into a darling nursery for a sweet baby boy or baby girl. We love our home and we cannot wait to share it with a little one. We both come from large families and enjoy time spent together. Family get-togethers are a vital part of our close knit relationship with both of our families. Lacy’s family goes out to eat every Friday night to fellowship together. We also have hosted several holidays at our home and enjoyed backyard cookouts and fishing adventures. On both sides of our family, we celebrate birthdays and many holidays. Lacy has many cousins that live close by and we often celebrate milestones and achievements in each other’s lives such as, graduation, sporting events, and weddings. Robert and Lacy are close with Robert’s siblings and often get together over the weekend. Lacy feels truly blessed with the family that she has married into and loves Robert’s siblings and their spouses. We are also very close to our grandparents that are still living and often meet for lunch or dinner. Holidays are also a special time in our lives, as we are able to celebrate with both sides of our family. We enjoy carrying out family holiday traditions such as reading the birth of Jesus Christ on Christmas Eve with Lacy’s family and breakfast Christmas morning with Robert’s family. Holidays are always a good time filled with fellowship, good food, and lots of laughter. We have taken multiple family vacations together with both of our parents throughout the years. Just last year we took a vacation with both sets of parents and Robert’s siblings to New York to see Niagara Falls. We have made many memories and are excited for the opportunity to add a baby to these family adventures. If selected, please know your child will be loved by a large family who cherishes each other and provides a loving and positive environment. Robert and I have dreamt about what our lives and family would look like the day we would become parents. We are eager to be called mommy and daddy, and we know God has chosen us for adoption. As we know from our faith, God first loved us and we are all God’s children. We were not left as orphans but instead inherited a family that is far greater than any family on Earth. We are heirs of God through Jesus Christ. When we become a mother and a father through a biological mother’s selfless act of pursuing adoption, we are able to be disciples of Christ and provide a loving home for a child. We are thrilled to be on this journey and we are hopeful for God’s plans for you and us. We understand that everything happens for a reason and we feel adoption is the most medically safe decision to grow our family. 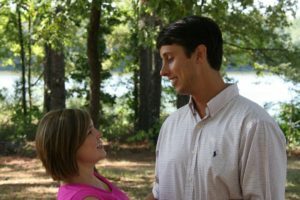 Lacy was born with a heart defect, and although it does not slow her down during her daily life, it would be a selfish act to conceive and carry a child not knowing the outcome. Together, we have made the decision not to pursue becoming biological parents, but instead love a child unconditionally that a birth parent has chosen us to parent. We would be honored to be entrusted as parents to a child and provide an unconditional love, like our Savior has provided us. The blessing of adoption gives us hope that we, one day, will be called mommy and daddy.